All they wanted from their honeymoon trip was to spend time with each other and simply relax amid some gorgeous backdrops. Now where other than Maldives to do that, right? 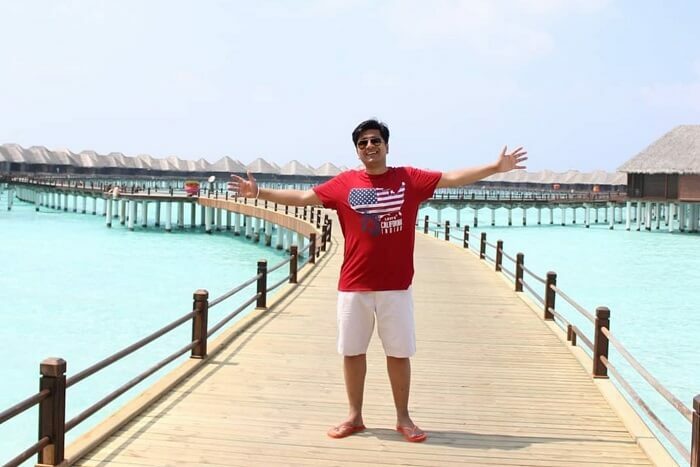 So, Ankit booked himself and his wife Priya a fabulous 4 nights 5 days Maldives honeymoon package and escaped to this paradise painted by the Gods in striking hues of blue and white. Relaxation, Enjoyment, and Excitement: These are three mantras that always govern my travel plans and preferences. 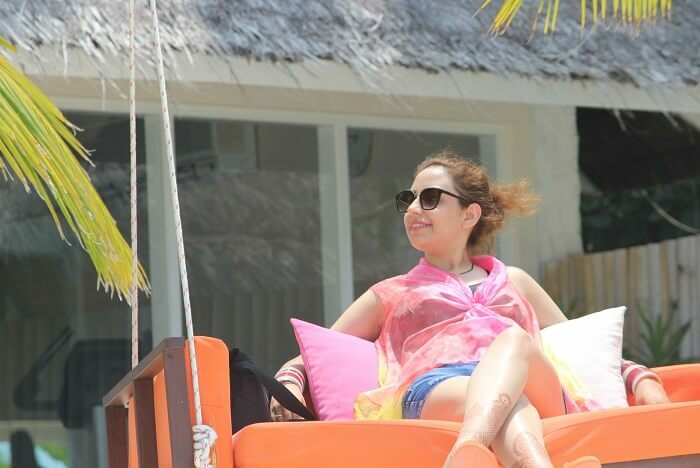 I always look for a combination of leisure and adventure in all my getaways, be it a trip to the hills, or a beach vacay. Surprisingly, I ended up finding these three in Maldives as well! 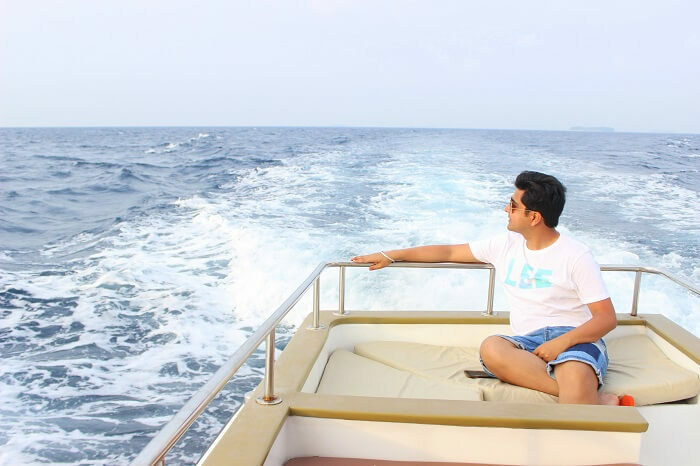 Though it was my wife’s choice of destination, Maldives offered me a bit of everything: relaxation, leisure, enjoyment, excitement, and luxury. It surely provided as that much-needed stressbuster after weeks of running around and tiring ourselves to the bone in preparation for the D-Day. I came across TravelTriangle while I and my wife were looking for Maldives packages online. I was instantly attracted to their website and how thoroughly they had presented their information over it. After I had received numerous quotes from different agents, I finalised the deal with Resort Life Travel Pvt Ltd and didn’t find a single reason to regret my decision! 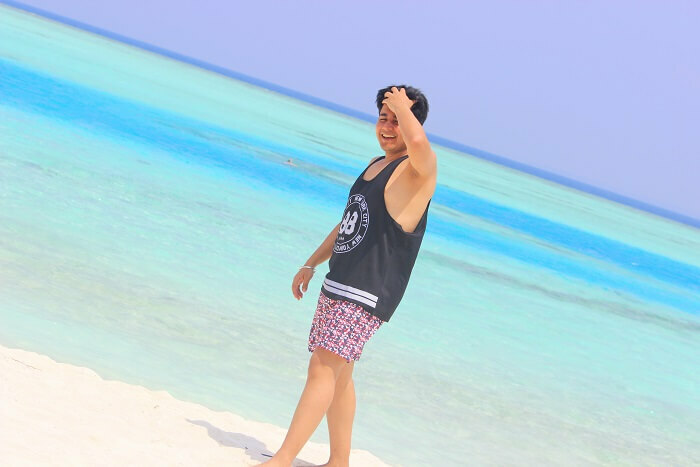 They provided me a package within the budget I had specified and booked me a stay at the one of the best resorts in Maldives – Sun Aqua Vilu Reef. 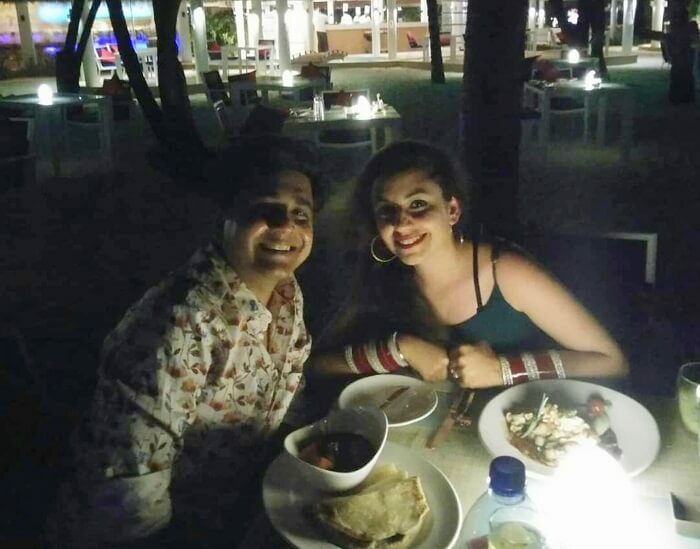 We did not have any specific itinerary, and we had the luxury to spend our honeymoon trip to Maldives the way we wanted to. We had decided to keep our itinerary light and just go with what our hearts told us to do on each day of our vacation. 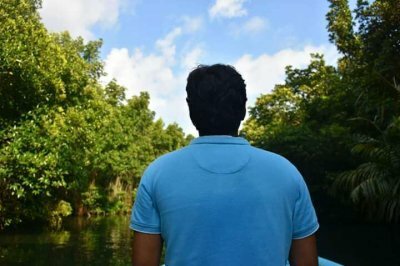 Though we were a little tensed about the ongoing State of Emergency in Maldives, TravelTriangle assured it wouldn’t hamper our tour in any way, and lived up to their promise! Our tiring flight from New Delhi to Maldives was followed by a smooth and rather pleasant immigration process at the airport in Maldives. We were then transferred to the our resort from Male via a seaplane and it was one hell of a ride! We took some rest before venturing out to explore the property. I captured every bit of this beautiful place in my DSLR. We checked out the various avenues of the resort like the Snack Bar, Restaurant, and more. Later, we went for a session of snorkeling and were greeted with the most colourful corals and marine sea creatures living under that crystal clear water. After a refreshing dip, we returned to our room to prep up for dinner. All it took us was a glance to fall in love with our resort! From the beach sand on the reception floors to the smiling faces of our hosts, everything about this place was wonderful! The next thing that took our breath away was our room – the Sun Aqua Pool Villa. We were to stay in here for the first two days of our trip, before getting transferred to an overwater villa! Located right on the beach, our dreamy abode had everything one could possibly ask for – stunning views of white sands and turquoise waters along with the most luxurious facilities. Saying that the food at Sun Aqua Vilu Reef is amazing, would be an understatement. They serve the most extensive menu I have ever come across, as well as country-specific cuisine that changes every day. Fun Fact: We could see dolphins far in the distance from our villa itself! On this day, we got to enjoy a delicious in-villa breakfast arranged by the hotel staff. 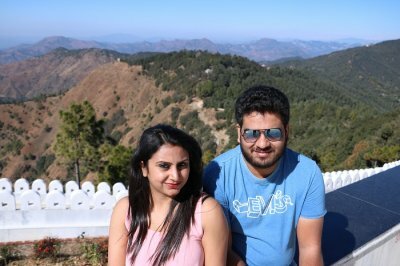 Later, we were also provided the services of a complimentary professional photographer who clicked amazing pictures of us both, capturing our special moments in this paradise and giving us a lifetime of memories! 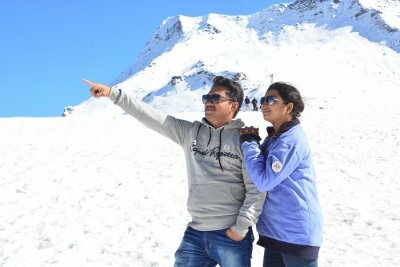 Being a shutterbug myself, I too clicked numerous pictures of my beautiful wife against the marvelous backdrop. 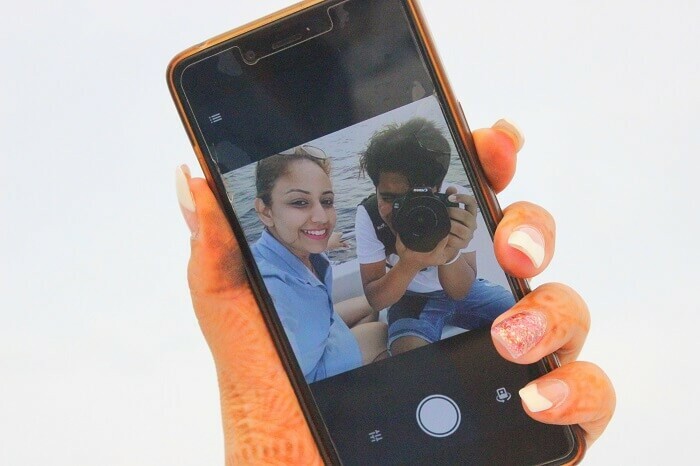 We spent the day clicking pictures and exploring the island we were staying on, and in the evening the hotel arranged for a fabulous candlelight dinner right on the beach. After enjoying a lovely time in each other’s company and the best Paneer Butter Masala I had ever had in my life, we returned to our room, where another surprise awaited us! The room had been elegantly decorated, and a welcome cake waited on the table along with a bottle of wine. Post a lavish breakfast at the resort’s restaurant, we were transferred to the ultra luxurious Reef Villa (an overwater villa). Needless to say, it had all the facilities to spoil you for life and unparalleled views of the ocean, along with a private staircase at the back leading straight into that lagoon of crystal clear turquoise water! We wanted to indulge in a spot of adventure on this day. So, after admiring our new abode, we quickly left for the first activities of the day – Kayaking and Surf Boarding. Post a thrilling session of these two, it was time to go island hopping! 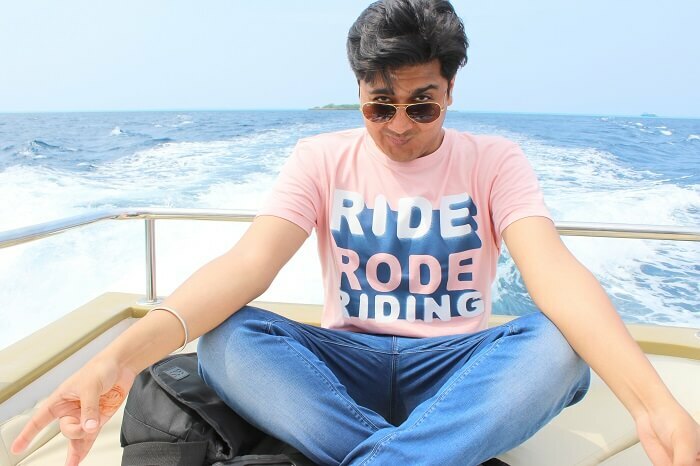 We got the chance to explore the local culture, way of living, language, food, and many more aspects of the native Maldivian people on the island we visited. We got to see how life goes about for people living on an archipelago such as this, where they effortlessly commute between the islets for daily needs like it’s as easy as going down to the neighbour for the some sugar! Exhausted from the fun activities of the day, we spent the rest of the afternoon lying on the beach getting tanned! Our morning started with a relaxing spa in the morning, a much-needed remedy that helped take the load off and wash away the stress of life and work. Post this pampering session, we spent the rest of the day in our overwater villa and simply enjoyed the calm and peace of this beautiful destination in each other’s company. 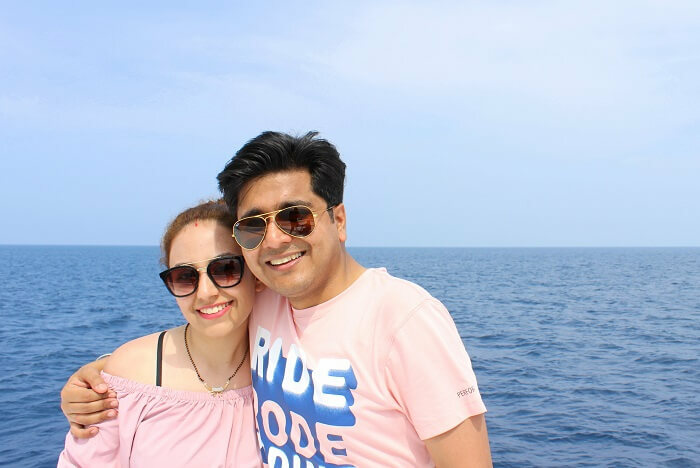 After relaxing in our villa the whole day, we readied ourselves for the last adventure of our honeymoon trip to Maldives: the Sunset Dolphin Cruise. Our late afternoon cruise ride took us far away over the glass-like water in search of dolphins. It was an ecstacy to witness a school of fun loving dolphins galloping about and occasionally spinning out of the water to entertain their excited spectators! Our memorable cruise ride ended with a radiant sunset. We packed our bags with a heavy heart as it was time to return home. The child inside us was refusing to go away from this paradise back to our mundane lives behind the work desk. 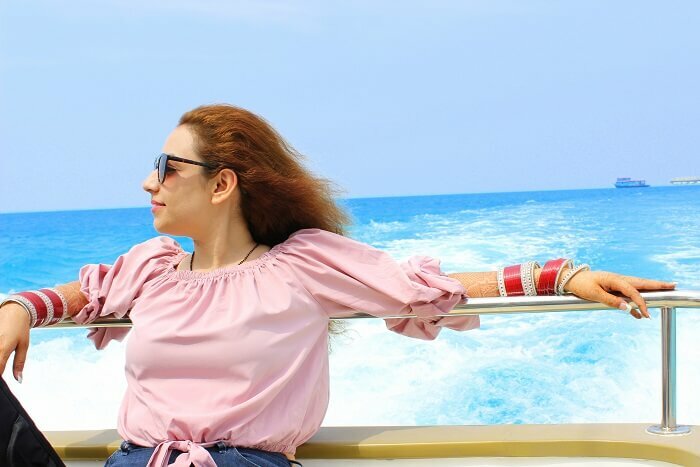 It truly was heartbreaking to leave behind those breathtaking views, wonderful sunsets, smiling faces, and our resort’s lavish services that had pampered us endlessly for 5 days! Due to our seaplane stoppages at two more places, we got to explore two more resort properties, but on comparing we realised that the one we had stayed in was the best. We boarded our plane right well in time and were delighted to see that we had been upgraded to business class! Thanks to the upgradation, we relaxed the entire way home. My honeymoon tour turned out to be way better than I had expected. 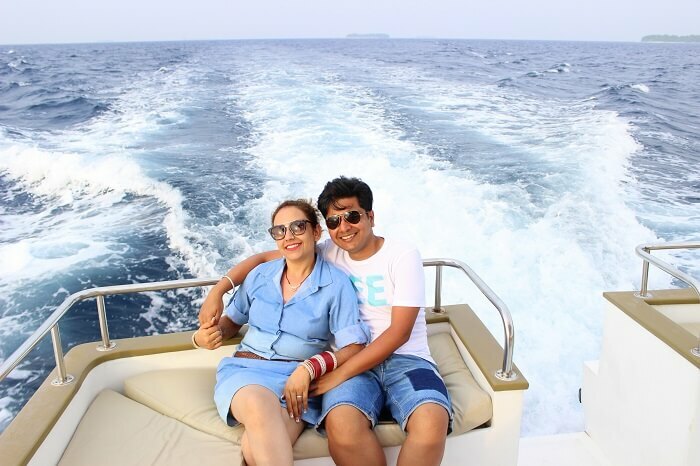 A big thanks to the entire Maldives team at TravelTriangle – Yashwant, Apoorva, Puneet, and everyone else who had helped me thoroughly during my honeymoon trip to Maldives. TravelTriangle and our agent had promised that we needn’t bother about the emergency situation, and we discovered they were right! The place didn’t even look like it was going through any sort of turmoil. Everyone was going about their business normally and even we didn’t face any issues at all. 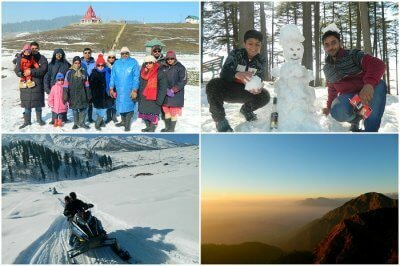 Our WOW Moments On The Trip: The entire trip was one big WOW for us! What We Missed: We didn’t really miss anything. But I found myself wishing I could spend 10 more days there! Don’t think you’d have nothing to do here for 5 days. 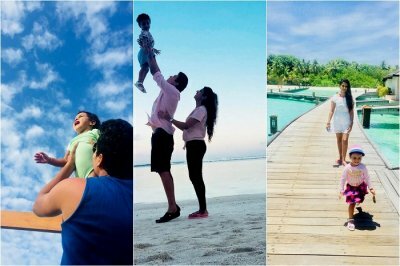 There’s plenty, and time flies in Maldives! Planning your own honeymoon trip? We’ve given you all sorts of reasons why you should spend it in Maldives. Book a Maldives honeymoon trip with TravelTriangle right away and fly away on your lovey-dovey getaway!